It's amazing what a weekend in the mountains can do for the body and soul. Yes, I went there. But, it's the truth. Sitting in an office for 40 hours week breathing recycled air and basking in the glow of artificial lighting takes it out of me. 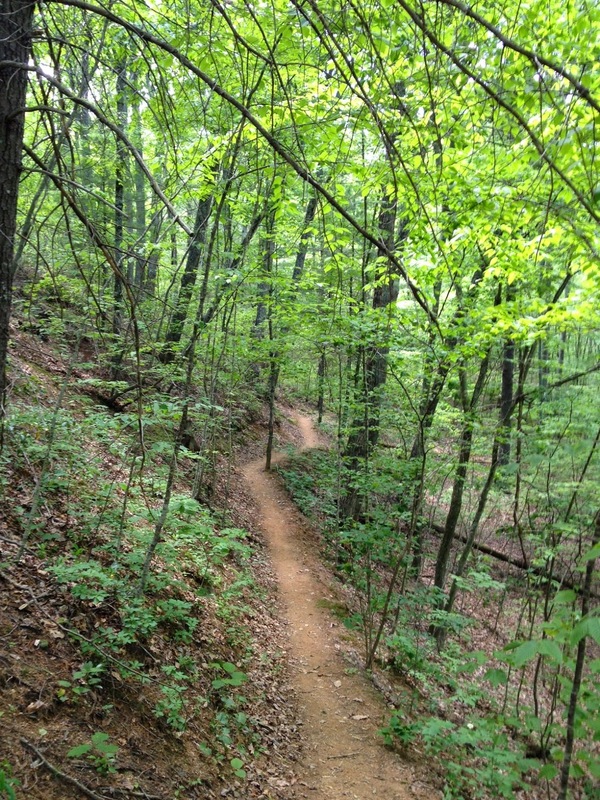 Thankfully, I'm not far from the Blue Ridge and Massanutten Mountains, their ridiculous beauty, and challenging trails. So, that's where I decided to spend my Memorial Day weekend. 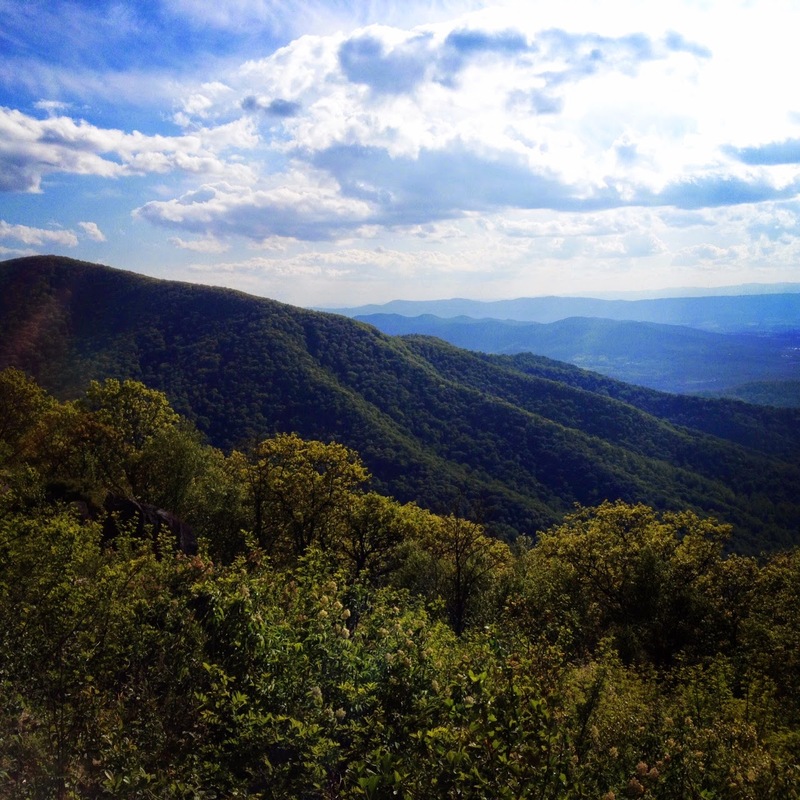 For my first day, I went to the Shenandoah National Park. 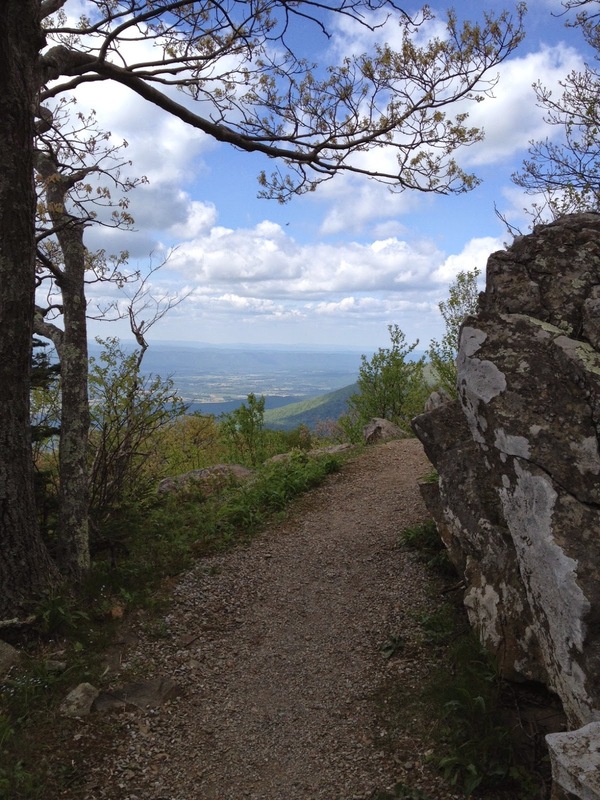 Part of the Blue Ridge Mountain range and Appalachian Trail (my favorite trail) lie within the Shenandoah. 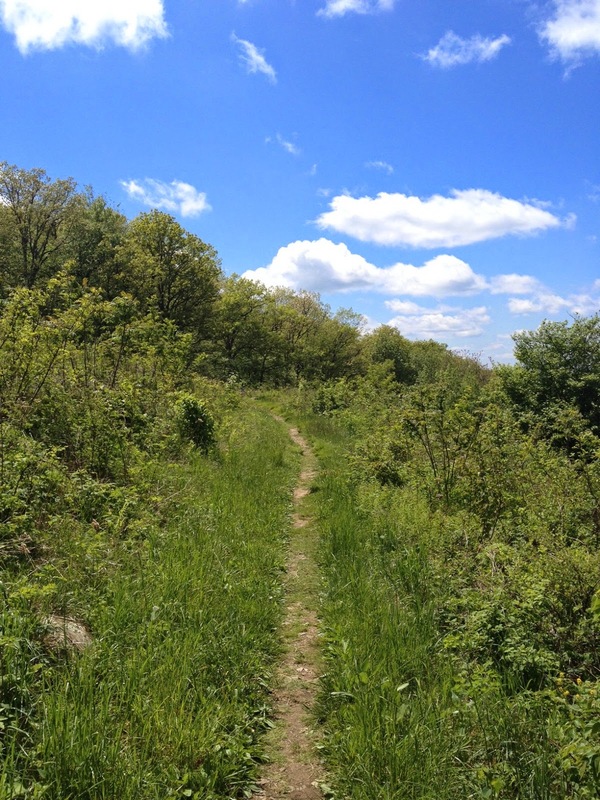 I decided to run a section of the AT I hadn't been on yet, between Skyland and Big Meadows. 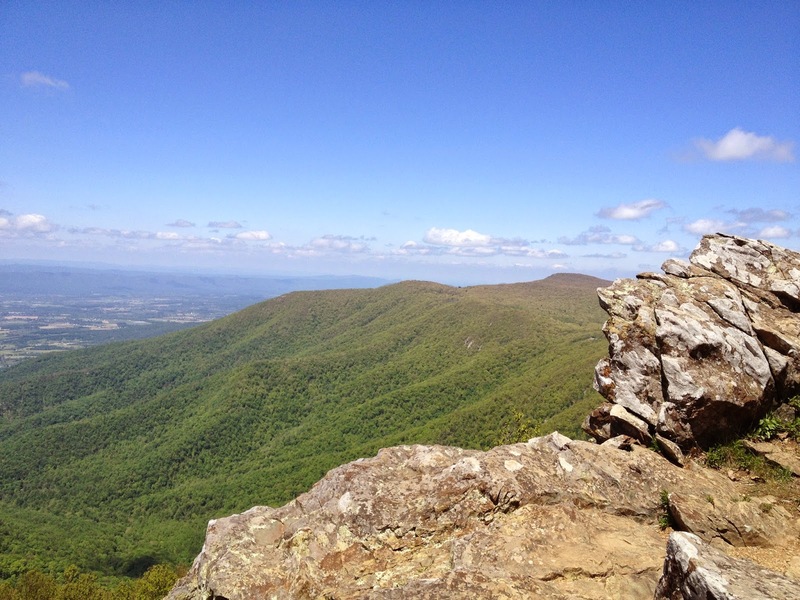 Starting near Hawksbill Summit, I soon reached the highest point in the Shenandoah, which is little over 4,000 feet. Taking a moment to pause and soak up the view is a must. Seeing so much natural beauty really puts life in perspective for me. Breathing in the crisp mountain air tingles all my senses and I feel at peace. 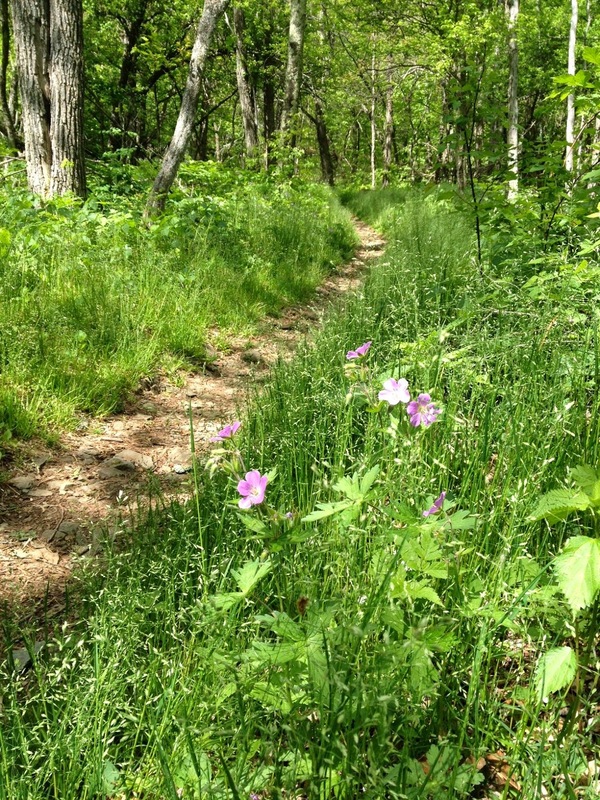 The thing I love most about running on the AT is that one minute you could be in the thick of the forest and the next you're in a beautiful meadow. My favorite part about trail running is the freedom I feel. It's a chance for me to connect with the wilderness and appreciate its serenity. It might sound weird, but I get this primal feeling when I'm out on the trails. Almost like I've become part of them. 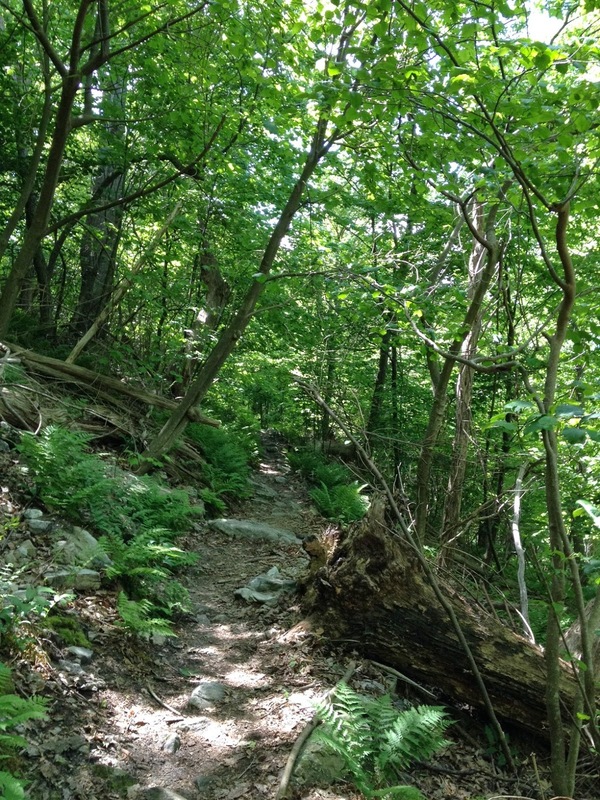 The terrain/surface of the AT is always changing. The trail is full a jagged rocks that make running on it tricky, but not impossible. 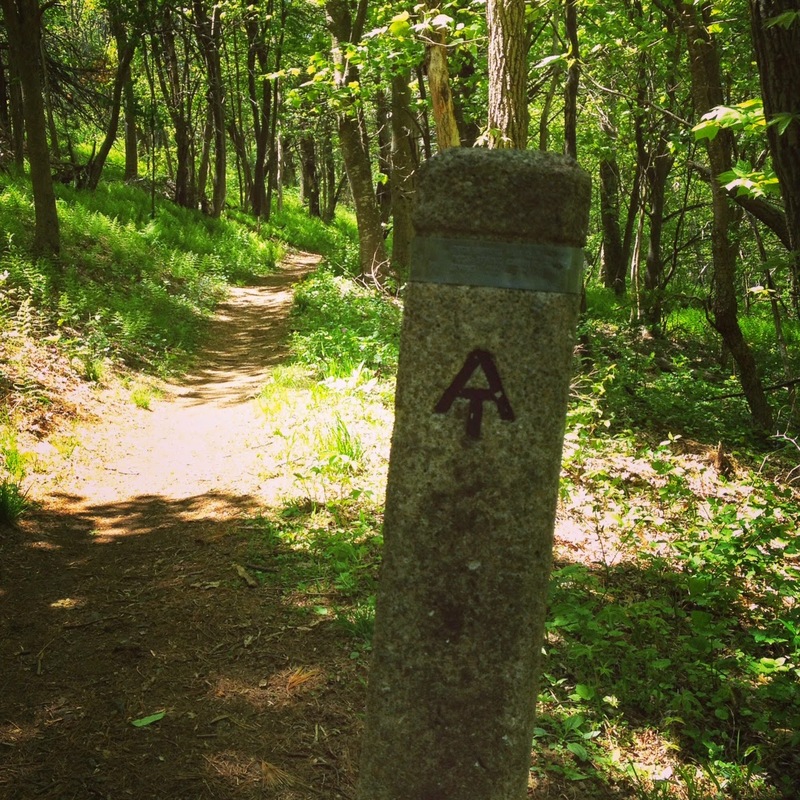 The AT also likes to throw a few surprises as you. For example, coming around a bend and being treated to an amazing view. I always wondered where the "Blue" from Blue Ridge Mountain came from. A quick search online and I found that they are referred to as the Blue Ridge Mountains because of an optical illusion that makes them look blue. The trees release isoprene into the atmosphere which creates a blue haze that encases the mountain tops. The next day I headed to the Massanutten Mountains, which lie just west of the Blue Ridge within the George Washington National Forest. 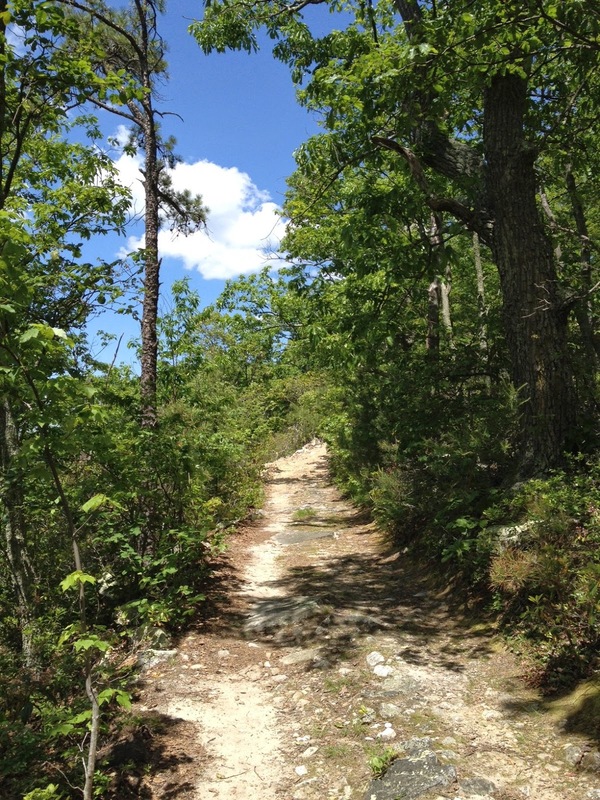 I hadn't been to Massanutten, so I was excited to explore a new area and trails. 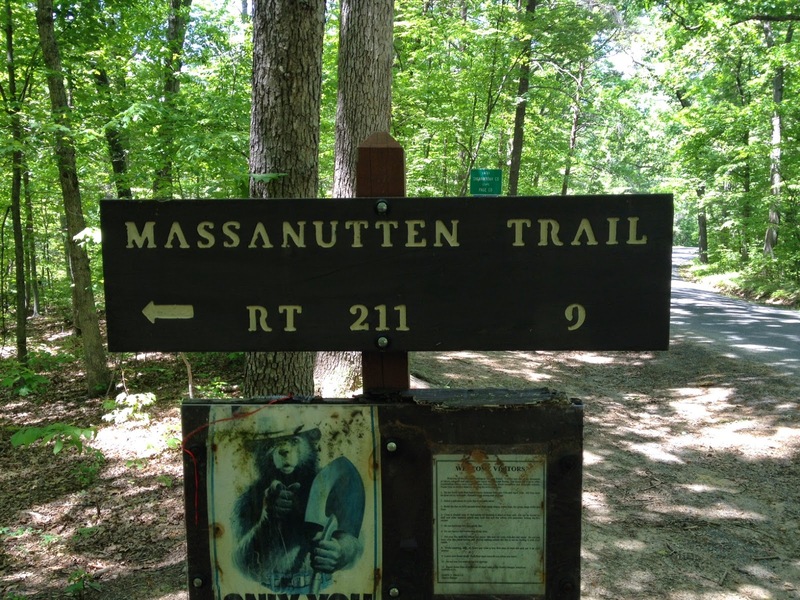 For my run, I ran on the appropriately named Massanutten Trail. I started near Camp Roosevelt on the eastern ridge of Massanutten. First, I headed south from Camp Roosevelt. 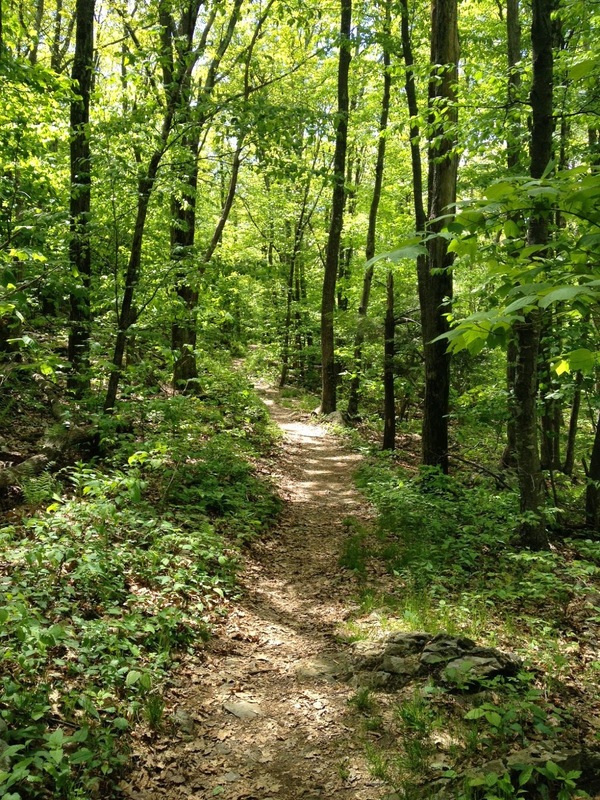 As soon as I started running I was surrounded by a dense forest; the trail snaking its way along the floor. I encountered many ankle deep creek crossings along the way. 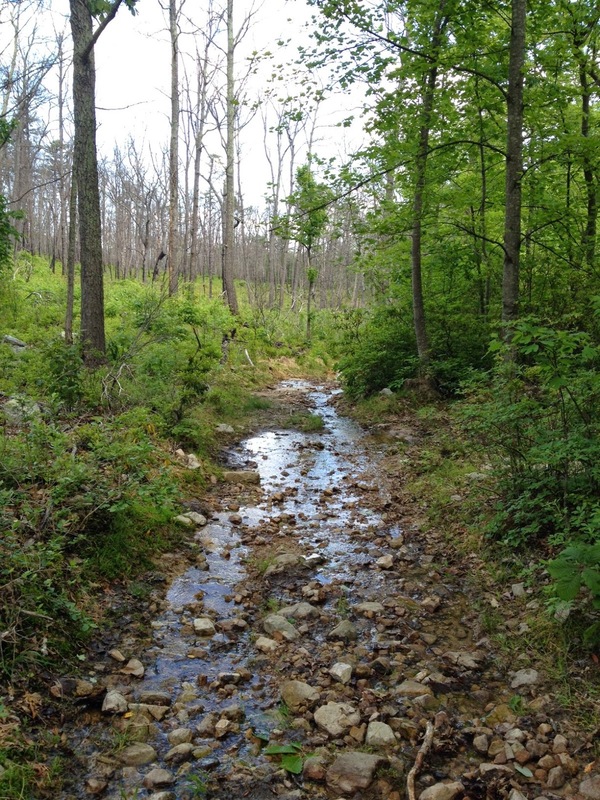 It also seemed as if creeks where trying to form along the rocky trail itself. 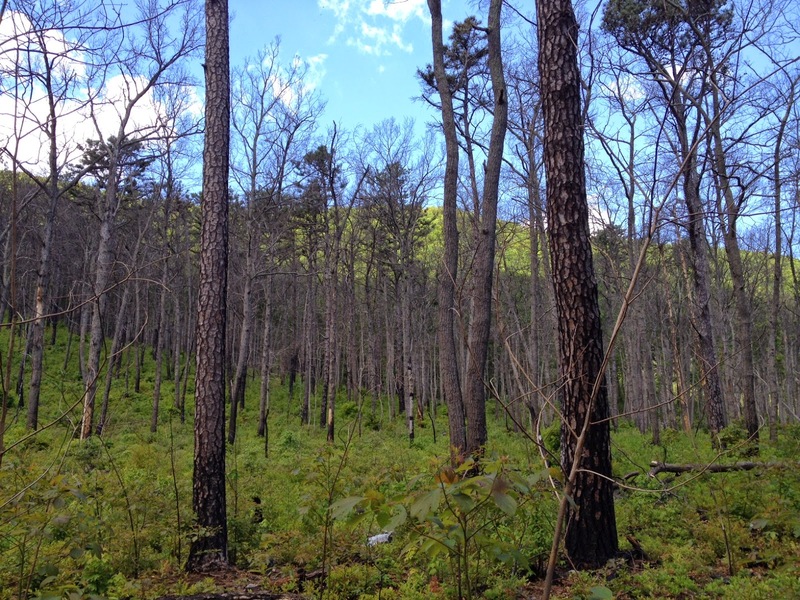 Eventually I broke into a small valley where tall pines and other trees dominated the lush forest floor. Through the tree trunks, I could see the sun shining on the ridge above. This picture doesn't do justice, but just take my word that it was beautiful. Upon returning to Camp Roosevelt, I headed north to Kennedy Peak. It was a good climb to get up to the peak. But, just like any climb, the higher I got, the better the views became. Kennedy Peak didn't disappoint. 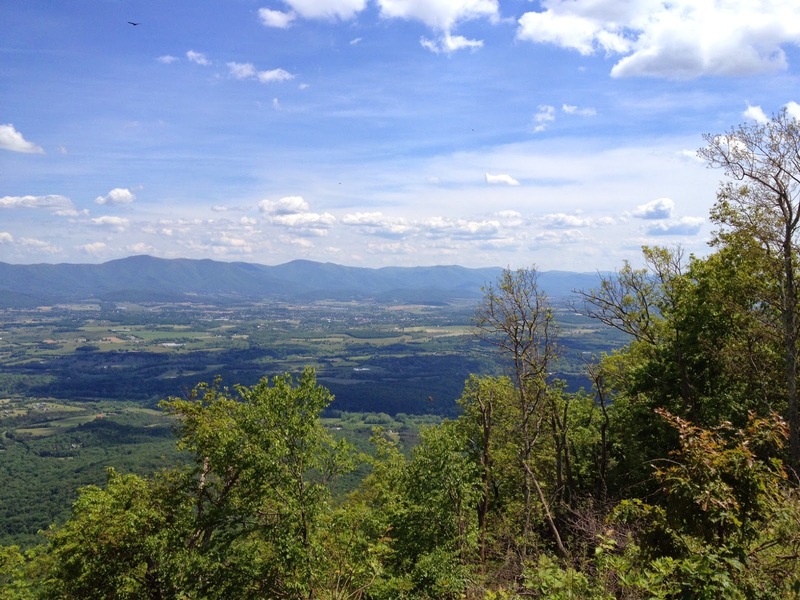 It was cool to look across the Shenandoah Valley and see the mountains I had run on the day prior. 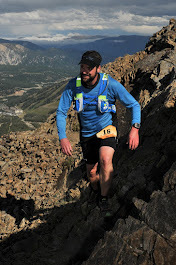 The run from Kennedy Peak to Camp Roosevelt was all downhill and fast. It's fun to hammer hard down the trails. Running downhill is still my weakness, but I feel I'm getting better at it. 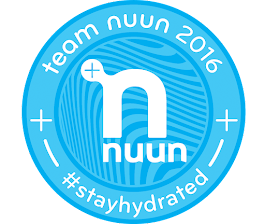 I've learned that you just need to be a little fearless going down the steep descents and allow gravity to do most of the work. When people ask me why I like trail running, it's for all the reasons above. Trail running is a chance for me to get away from it all and just enjoy being in a place full of raw beauty. Trail running also humbles me. It helps me realize and I'm just a small part of a huge thing. Life is about exploring. It's about challenging yourself. Trail running helps feed my life's hunger.